Flight controllers celebrate the successful conclusion of the Apollo 11 lunar landing mission on July 24, 1969, at NASA’s Mission Control Center in Houston. Mission control erupts in celebration. 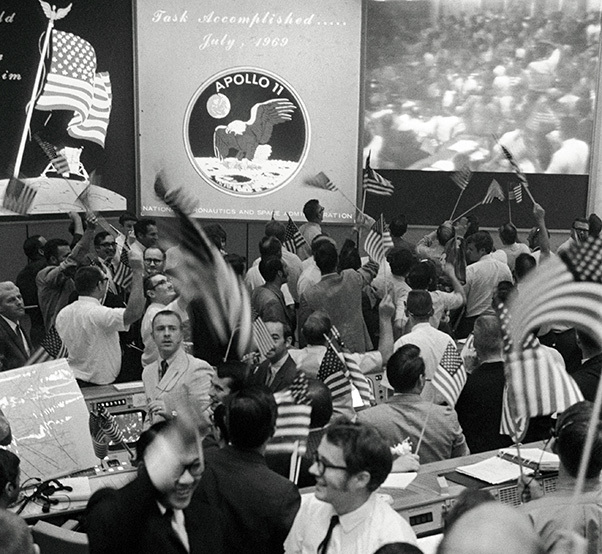 NASA’s Johnson Space Center, Space Center Houston and the Apollo Flight Operations Association are bringing the excitement of that time back to life with the complete restoration of the Historic Apollo Mission Control Center. 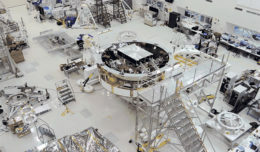 By the 50th anniversary of the Apollo 11 mission in July 2019, the room will be fully restored, providing a snapshot of how it looked during the moon landing on July 20, 1969. Initial work and assessments are underway and restoration is scheduled to begin this December. Restoration will include the Mission Operations Control Room, Visitor Viewing Room, Simulation Control Room, and the Summary Display Projection Room (“bat cave”), the areas that make up the Apollo MCC – all located in the Christopher C. Kraft Mission Control Center at Johnson. The MCC is where NASA’s flight control team planned, trained and executed Gemini, Apollo, Apollo/Soyuz, Skylab and Space Shuttle missions until 1992 including the momentous Apollo 11 and 13 missions. Space Center Houston, a nonprofit 501(c)(3) foundation, spearheaded the effort to raise funds for the project. While NASA cannot accept public donations that have a targeted purpose, the Advisory Council on Historic Preservation has the flexibility to accept public donations and designate the funds for specific historic preservation projects. The ACHP is an independent federal agency that promotes the preservation and productive use of our nation’s historic resources, and advises the President and Congress on national historic preservation policy. Space Center Houston is sending the funds to the ACHP so they can be earmarked specifically for the Apollo MCC restoration.